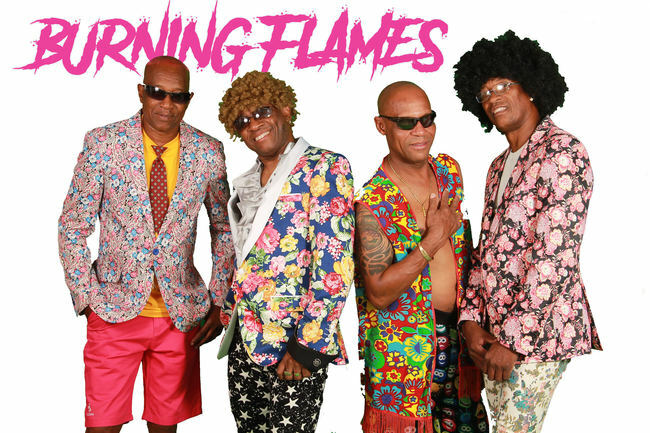 The three Edwards brothers who founded the Burning Flames in 1984 - and who are the composers of the most immortal soca songs - have put their differences to one side and are performing together again! They have countless albums to their name. 'Dig' was released in 1992 by the UK label Mango Records and is a wonderful classic of the 'small islands soca'. Another great album is 'Countdown to Rehab' from 2012 with songs like 'Come by you', 'Lollipop' and the hilarious 'Kick En She Back Doh'. The Burning Flames have the most original sound, a mix of soca and zouk, homemade in Antigua. This will be a historical concert of an immortal band.